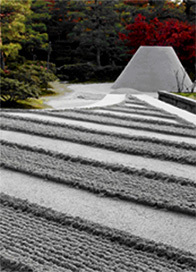 Autumn and winter are ideal seasons for traveling in many of the destinations featured in Artisans of Leisure tours. In Japan and China, the seasonal cuisine is arguably at its best, and golden leaves serve as backdrops to traditional gardens, temples and villages. Southeast Asia and India are warm this time of year. Both are great escapes combining fascinating cultural touring and indulgent luxury hotels. Our new Essence of India tour is already a favorite with our travelers. It includes the classic highlights of India, plus a few days off the beaten track in Jaisalmer, a great sandcastle of a town bordering the desert in one of the most traditional parts of Rajasthan. Many of our travelers are also opting to extend their India tour with a private tour in the Himalayan kingdom of Bhutan, which we now offer on a request basis. In Australia and New Zealand, it's spring and summer—the perfect time for outdoor activities such as touring wine regions, sailing in clear waters and viewing wildlife on coastal islands. Many parts of Europe, such as Provence, southern Spain, Italy and Turkey, sparkle this time of year. Essence of Provence takes in the best of southern France, including small hill towns, antique and food markets, and beautiful landscapes from the Mediterranean coast to the hills of the Luberon Valley. It's also time to start looking ahead. If you're considering Japan during cherry blossom season (late March through mid-April) or Italy in the summer, book now if you wish to stay at the wonderful hotels we use in our tours. No matter where you travel with Artisans of Leisure in the coming months, you can be sure your tour includes private guides with unsurpassed insight into the local culture, unique experiences that showcase local culture and traditions, and an unparalleled level of luxury. Yunnan Province has been on our hot list for years. Here among the beautiful Himalayan foothills and clear blue skies of southwestern China is a truly evocative place. 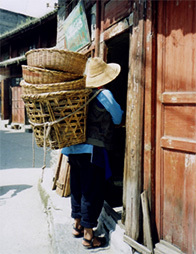 Morning hilltribe markets seldom seen by tourists, ancient wooden houses on the picturesque backstreets of traditional towns, Tibetan monasteries, Buddhist frescoes—these are some of the places we feel best capture Yunnan's unique atmosphere. These are also some of the places we take travelers during private touring on Journey Through China, China Past and Present and other Artisans of Leisure tours that visit rural Yunnan. And as with all of our tours in China, you'll travel with an expert private guide and driver, with all touring customized to your interests. Direct flights from Hong Kong and Bangkok make Yunnan easy to combine with other destinations in China as well as nearby Thailand. 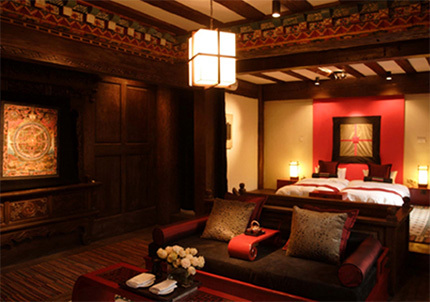 Banyan Tree Hotels and Resorts is opening two hotels in Yunnan, adding yet more reasons to visit the area. The Ringha Tibetan Village in the town of Zhongdian (China's official Shangri-La) just opened, and Banyan Tree Lijiang is slated to open in Spring 2006. For lovers of great food, traditional culture and unique style, Morocco has long been a prime destination. Over recent years, the rapid development of luxury hotels has made the country even more appealing. Journey Through Morocco is our most popular Morocco tour, and includes in-depth cultural touring with Morocco's most experienced guides and drivers. Highlights include walking the labyrinthine souks of Fez and Marrakesh, driving through dramatic desert valleys where mud brick kasbahs watch over oasis towns, shopping at Berber markets in the Atlas Mountains, and riding camels through sand dunes in the Sahara Desert at sunrise. Contemporary style echoes ancient traditions in the top luxury hotels and ryads included on this tour. Dar Ahlam, in the palm groves of Skoura, is an update of an ancient kasbah that sits on extensive gardens of flowers and olive trees. 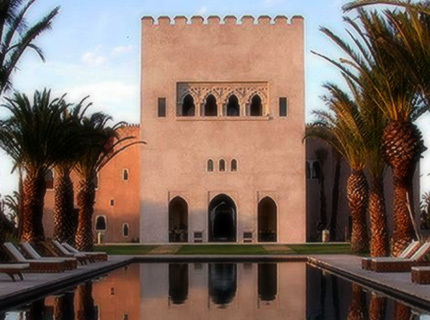 In Marrakesh, Ksar Char-Bagh is a Relais & Chateaux property complete with antique furniture and watercourses running through acres of gardens and orchards. The Sofitel Palais Jamai in Fez, a 19th-century Moorish-style palace built for a grand vizier, has intricate tile floors, a luxurious pool and commanding views over the medina. And on the edge of the Sahara, there's the option of staying in a Bedouin-style tented camp at the base of sand dunes or in a local kasbah hotel decorated with crenellated walls and Berber rugs. All of our luxury Morocco tours emphasize Moroccan architecture, design, history, religion (including Jewish heritage in Morocco), regional cuisine and artistic traditions. Hue is Vietnam's former imperial capital and an important Buddhist center. The Perfume River winds slowly through this town in central Vietnam, passing hilltop pagodas, royal tombs surrounded by lotus ponds, and the palaces and fortifications of the Citadel, once the home of the Nguyen Dynasty and now a UNESCO World Heritage Site. Our Vietnam tours that visit Hue now include a very special activity—a romantic private dinner in the garden of an exclusive royal villa. It's a wonderful, relaxing end to a day of touring in this historic city. 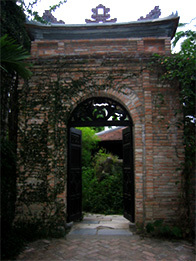 We discovered the royal villa on a recent visit to Hue. Its traditional wood pavilions, brick patios, fish ponds and tropical greenery provide the ideal atmosphere for dining on Hue's unique cuisine. The complex style of cooking features dishes such as rice cooked in lotus leaves, crispy spring rolls and fragrant soups. Artisans of Leisure travelers have the garden to themselves. But as darkness descends, they're bound to see the villa's owner, a master calligrapher and descendant of the royal family, wander through lighting brick lanterns. The soft glow perfectly suits the memorable meal fit for a king. We just returned from a glorious trip to Italy. To further hone our Italy tours into the most luxurious and unique available, we scouted the best rooms in the finest hotels, researched the most interesting cultural, historic and scenic spots—famous and little known—and taste tested at local food markets, wine bars and restaurants. We've updated and expanded our Italy tours to reflect what we found. We added hotels such as the Hotel Caruso in Ravello (above), an Amalfi Coast legend with a spectacular location on cliffs high above the Mediterranean. Orient-Express recently took over the Caruso and thoroughly renovated it before its grand re-opening earlier this year. We also added La Posta Vecchia, an expansive 17th-century palace on the coast outside Rome. 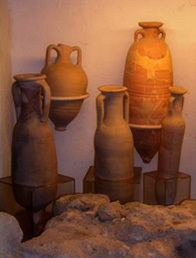 The estate, which once belonged to J. Paul Getty, is built atop the site of two ancient Roman villas (mosaics, ceramics and other excavated artifacts can be seen in the hotel's basement museum). Like all of the impressive hotels we use in Italy, these two offer a stunning setting, wonderful service, amazing cuisine, and design that showcases local history and aesthetics. How can you enjoy la dolce vita if you're on someone else's schedule? That's one reason our Italy tours include private English-speaking drivers and expert guides. This high level of personalized service also allows total flexibility to cater to the touring interests and needs of each traveler, whether you're a foodie, fashionista, art lover or all of the above. Our guides in Italy enlighten every step and can accommodate almost any whim. They untangle the backstreets of Venice, explain the city's unique architectural history, introduce insider favorites (shops, restaurants, markets, neighborhoods), and perhaps suggest a special bar for some quick cicchetti (snacks). In Rome, they take you to the "classics," such as the Colosseum, Forum and Vatican, as well as the less frequently visited sites such as ancient ruins along the Appian Way. They breeze you past lines at the museums of Florence, reveal the secrets of the city's Renaissance masterpieces and take you to food markets and trattorieto sample the local fare. Similarly, our drivers whisk you through the steep, narrow streets of Tuscan hill towns, to noted vineyards for wine tasting, fashion outlets for shopping, or perhaps to dinner at Il Pellicano, a luxury resort on the coast of Tuscany—we had one of our favorite meals in Italy at its exquisite restaurant. Did you know that Shanghai has its own Art Deco style? Imported in the 1920s-30s when the city had a large international community, Art Deco became so popular that some scholars say that Shanghai today is unrivaled in its number of Art Deco buildings. Everything from bank facades to peephole covers on the front doors of private homes got the Art Deco touch. 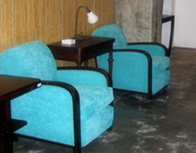 The style also found its way into furniture and housewares. If the proportions seem skewed, it's because local manufacturers often copied European models from newspaper images rather than using the original specifications! 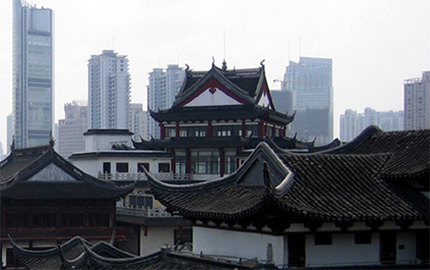 More and more of our travelers are discovering this and other unique Shanghai legacies by booking one of our special interest tours with a noted local architectural historian. Shanghai's Art Deco style On this tour, you'll see the famous Bund and the neighborhoods of the French Concession, then venture deep into hidden clusters of architecture from the city's early 20th-century heyday. Today, Shanghai still aspires to be on China's creative cutting edge. One place you'll see that is in the city's burgeoning art galleries, another key feature of this tour. 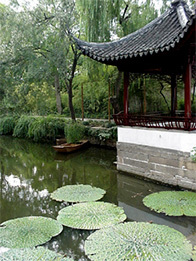 For all travelers on our China tours that include Shanghai, we also recommend a half- or full-day excursion to a traditional water town such as Suzhou, Zhujiajiao or Xitang. Pumpkin soup is the Australian equivalent of American chicken noodle—a kid favorite, a cure-all and a cupboard staple. This modest hero of home cooking is not the Australian cuisine of food magazine fame. But you can bet that pumpkin soup is a nostalgic favorite among even the most acclaimed Aussie chefs. It's also a favorite of our travel specialists who have spent a lot of time in Australia. Whenever they return, having Australian pumpkin soup and other pumpkin specialties such as savory pumpkin pastries is always a priority. Travelers on our Australia tours sample a range of local food and drink—from simple to highly refined—whether it's a casual meal at a local pub, a gourmet lunch at a vineyard, or dinner at one of the most lauded restaurants in Australia. Heat butter in large saucepan and sauté onions until golden brown. Add potatoes, pumpkin, stock and milk. Cover, bring to boil, then simmer gently for about 30 minutes or until vegetables are tender. Puree in blender or with immersion blender. Add salt and pepper to taste. Add cream and reheat gently. Serve garnished with chopped chives. Serves six.